Family gatherings can be wonderful. They can also trigger a host of uncomfortable feelings such as resentment, jealousy, anger, sadness, helplessness, etc. No matter how old we are, or how many years have passed, it can sometimes feel as though we’re walking into a trance, where we have no choice but to revert back to our old family roles. Certainly, the healthier we are emotionally, the easier it is to navigate the family landscape. We might even feel as though we’re ‘over’ whatever issues we faced in the past. 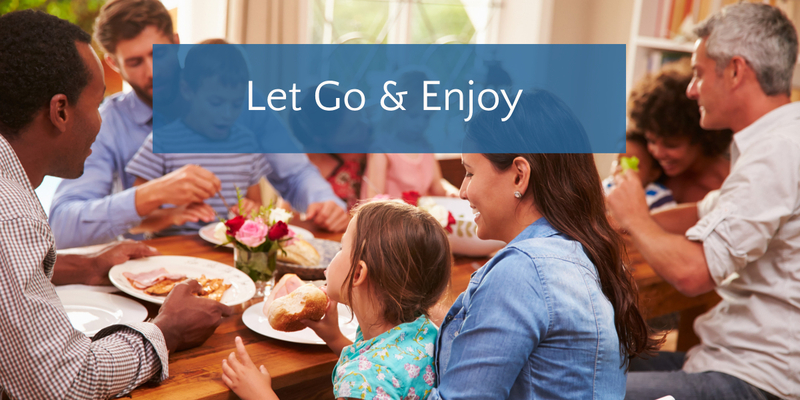 But just in case any remnants of those old patterns and feelings get triggered, here are some tips to help your time with family feel easier, and more joyful. Try Ho’oponopono – Ho’oponopono is a Hawaiian prayer that’s useful for forgiving old wounds. It can be used to clear resentments and negative feelings towards anyone, including family members. To use Ho’oponopono, bring someone to mind, hold your hand over your heart, and repeat the words: I’m Sorry, Please Forgive Me, Thank You, I Love You. It doesn’t matter if you feel you were ‘wronged’ by this person. By repeating this mantra, you will help yourself release negative feelings towards the person. Send Love — There are a number of meditations which you can use to send love to your family members. 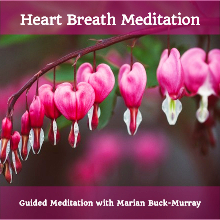 You can use the heart breath meditation to create a field of heart energy which you imagine you are extending to family members. Also effective is the Eco Meditation, created by Dawson Church. 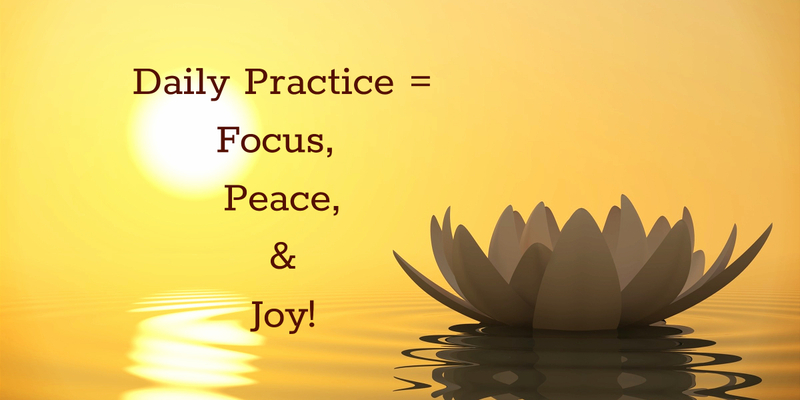 In this meditation you can imagine sending a beam of love and light to a family member. To learn how to use the eco meditation, click here. Use Creative Visualization – Use creative visualization before an event to imagine it going smoothly. Don’t be concerned with too many details. Instead, imagine yourself feeling relaxed and happy. Imagine peaceful conversations, and laughter. This type of visualization will help you feel more relaxed about the event, and it will make it more likely that you will act in the way you desire, even if others don’t. EFT Tapping – EFT Tapping is a wonderful tool to help reduce any anxiety you feel about a family event. In addition, EFT can be used to release specific feelings towards family members. For a video to learn how to use EFT Tapping click here. For one-on-one guidance in EFT to assist you in navigating a family issues, contact me. Focus on Beauty — Be truly present with your family, and your surroundings. Show your heart-felt appreciation for any food, gifts, decorations, etc. Take time to look at each family member and guest. Find something you admire, appreciate, love, like, or are willing to lovingly accept about each. Get Curious – It’s likely you usually feel most comfortable talking with certain family members over others. Step out of your comfort zone and reach out to those you tend to avoid. Get curious about their lives. Open your heart, and your ears, to listen to what they have to tell you. Reach out to make the connection, instead of waiting for someone to do it first. Honor your needs with self care. Finally, take care of yourself. Family gatherings can be overwhelming. Between the work, the anxiety, the emotions, the late hours, it’s easy to get overly saturated. Especially if you’re a sensitive person. Taking care of yourself might mean taking a walk outside, excusing yourself for a quick meditation, leaving early, or sitting quietly in a darkened room for a bit. For extended gatherings, weave moments of self-care throughout. *For an abusive or volatile situation, emotional or physical, give yourself permission to decline the invitation, or leave early when necessary. Seek help when needed.